The following Natural Facial Cleansers are all proven winners, natural and/or organic and are no more expensive than department store brands. These are all quality natural products that have received awesome reviews and that we would highly recommend. 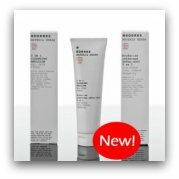 Trilogy Cream Cleanser Although this is an anti aging cleanser I think any skin type could benefit from using it, even very sensitive skin.This cleanser is also suitable for removing eye makeup which I always like in a cleanser. The fewer products to buy the better!Trilogy Cream Cleanser contains organic Rosehip Oil, Evening Primrose, Jojoba, Almond and Carrot Seed Oil making it a healing and nutritious cleanser. It helps diminish lines, sun damage and scars while thoroughly and gently cleansing your skin. Trilogy products contain no Parebens, Petrochemicals, Pesticides, and Synthetic Fragrances or Dyes. All products and packaging are biodegradable. 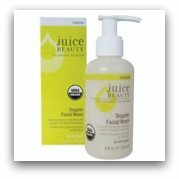 Juice Beauty Organic Face Wash This yummy sounding cleanser is also full of nutrients and good for normal and aging skin. It is a gentle, organic astringent that cleanses, tones, balances and moisturizes your skin.Juice Beauty Organic Face Wash contains Organic Grapes, Organic Apple Juice, Organic Honey and Carrot Seed Oil which effectively remove impurities from the skin and nourishes at the same time. Rich in essential fatty acids and high in antioxidants this is an excellent addition to your natural skin care regime.Juice Beauty is 100% vegetarian and is used by celebrities like Madonna and Cameron Diaz, just to name a couple. Don't let that scare you though, it doesn't cost a small fortune! I used to spend more on department store brands, so always remember more expensive is not necessarily better.This natural product contains no Parabens, Pesticides, Petrochemicals, Propylene, Laural Sulphates, Phthalates, or Artificial Fragrances and Dyes. Korres Materia Herba 3 in 1 Cleansing Emulsion One of the leading natural skin care lines, Korres is also one of the most economical.This 3 in 1 Cleanser, tones, cleanses and soothes and can be ued to clean eye makeup.Korres Materia Herba 3 in 1 Cleansing Emulsion contains Organic Almond Oil, Calendula, and Ruscus Extracts. 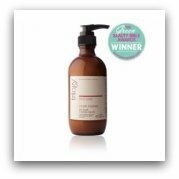 It is free from Parabens, Sulfates, Synthetic Fragrances and Dyes, Petrochemicals and Phthalates. 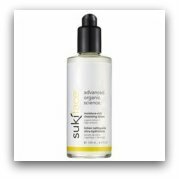 Suki Moisture Rich Cleansing Lotion This cleansing lotion is 100% natural, containing over 90% organic ingredients which include gentle cleansing oils, butters and extracts.If you suffer from dry skin this is a wonderful cleanser but I would recommend it for any skin type. Suki Moisture Rich Cleansing Lotion is good for combination, aging and normal skin. Clarisonic Mia #153; Skin Cleansing System If you ever use one of these, you will never want to be without one again. 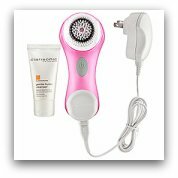 The results you see in the appeareance of your skin and how it feels will have you hooked.Clarisonic is a proffessional, quality skin care brush system that is worth every penny. With its sensitive brush head it is ideal for any skin type, and cleans six times better than tradional methods.It clears and decreases the size of pores, removes all impurities and gives your skin a brighter appearance. For rough, combination and oily skin this product works wonders making your skin silky smooth. For mild to moderate acne this could be the answer to your prayers.Combine the Clarisonic Cleansing System with your favorite natural facial cleansers and I guarantee you will see results almost immediately. Within a couple of weeks of use, I personally noticed a tremendous difference in my skin. The lines on my face were less noticeable, my skin appeared brighter and it kept my skin cleared up, not to mention how soft your skin feels.For me it was worth the investment and now it is the only way I would clean my face. The Clarisonic Cleansing System comes in a variety of colors and replacement heads are available for a reasonable price. 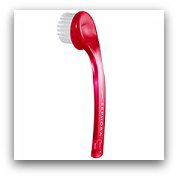 Sephora Collection Face Complexion Brush While this brush does not do quite as good of a job as the previous, it still works very well to exfoliate and deep clean skin. It massages and invigorates your skin giving it a fresh smooth appearance and is also very economical. Try one of these natural facial cleansers and see the difference!